With HomePod primed for launch in Canada, France and Germany, Apple on Tuesday expanded Siri's capabilities to provide compatibility with languages — and dialects like Canadian English — spoken in those countries, and announced future support for French Canadian. After updating to its latest firmware version, HomePod users will have access to the three additional language options regardless of the region. That means someone in France who picked up a HomePod in the U.S. can switch to French by navigating to HomePod settings. To enable one of the new languages, simply go into the Home app, select a HomePod, tap Details, then Language. There are now six language options for HomePod users. Apple on its regional webpage serving Canada says support for French Canadian will be included in a software update by year's end. HomePod will be made available in Canada, France, and Germany on June 18. Rolling out support for the languages ahead of time should make the launch process smoother, as well as appease existing owners who were able to get their hands on one outside their home country. New Siri languages weren't the only thing that was new in version 11.4 for HomePod. 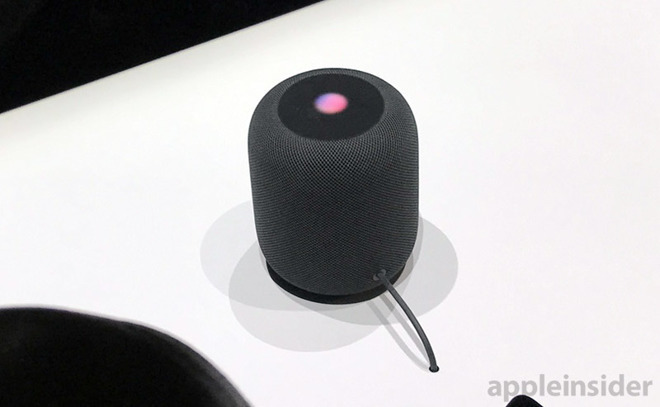 The latest firmware delivered AirPlay 2, stereo pairing, and calendar support as well, making it the biggest HomePod software update to date.